This RESIN Look And Feel Must Be Popular ! Home / Eleaf / Eleaf iStick Pico / Eleaf iStick Pico Resin / iStick pico / iStick Pico Resin / This RESIN Look And Feel Must Be Popular ! The Eleaf iStick Pico and Melo III Mini Tank is one of the best compact setups of 2016. 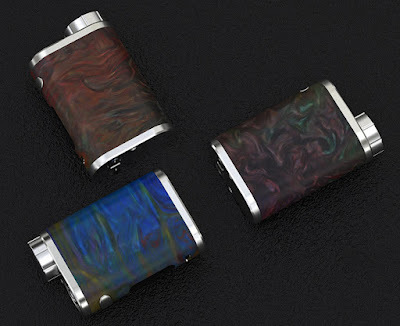 This year ,Eleaf have re- released this awesome kit combo with a bold new "RESIN" look and feel.Now it is in stock at our store, only need $43.90 you can get the battery, and $56.90 can get a full kit .